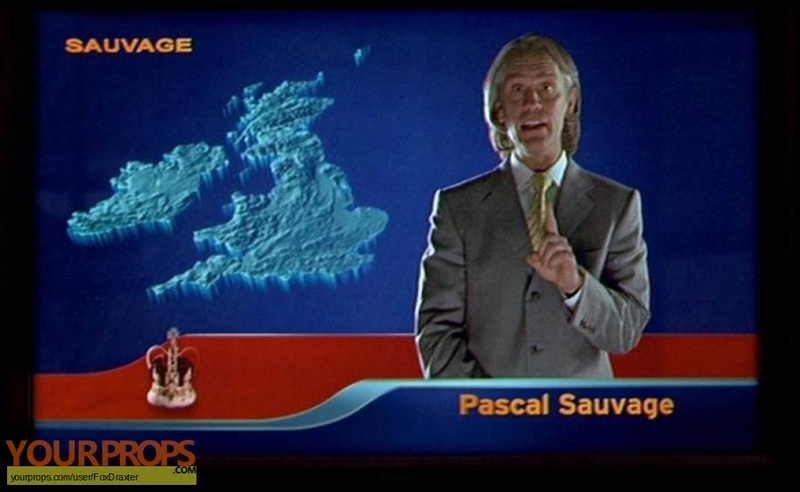 A costume worn by actor John Malkovich in the sequence where he announces, in a video, his plan to turn England into a huge prison. 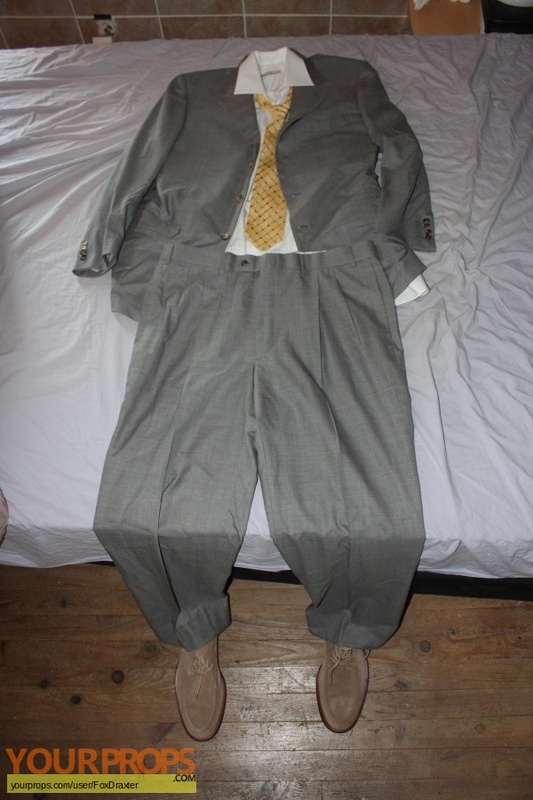 The suit is made by Ermenegildo Zegna in a cream fabric with a white Zegna-made shirt (marked as size 41/16), a yellow Zegna silk tie and a pair of beige suede Giorgio Armani shoes (marked as size 44 ½). view all 17 items of "FoxDraxter"